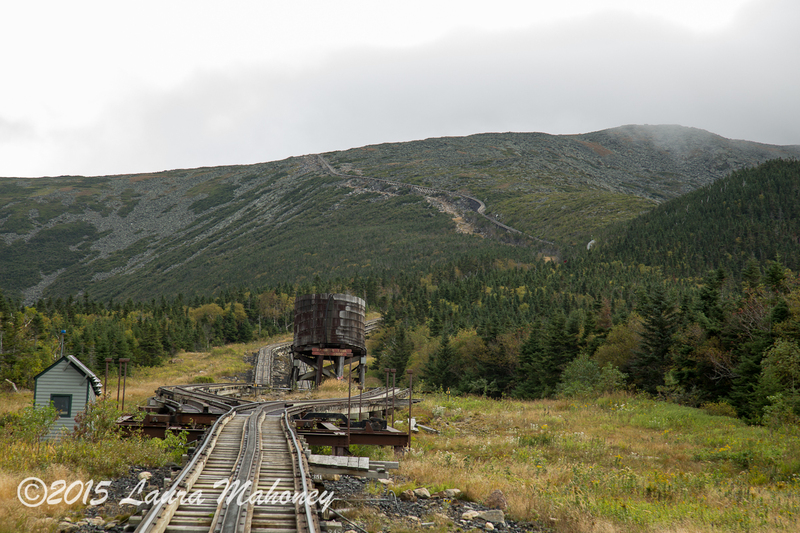 Our destination for the day was Sargent’s Purchase, an unincorporated place encompassing the summit of Mount Washington. To get there, we would get to travel through 3 other unincorporated places. 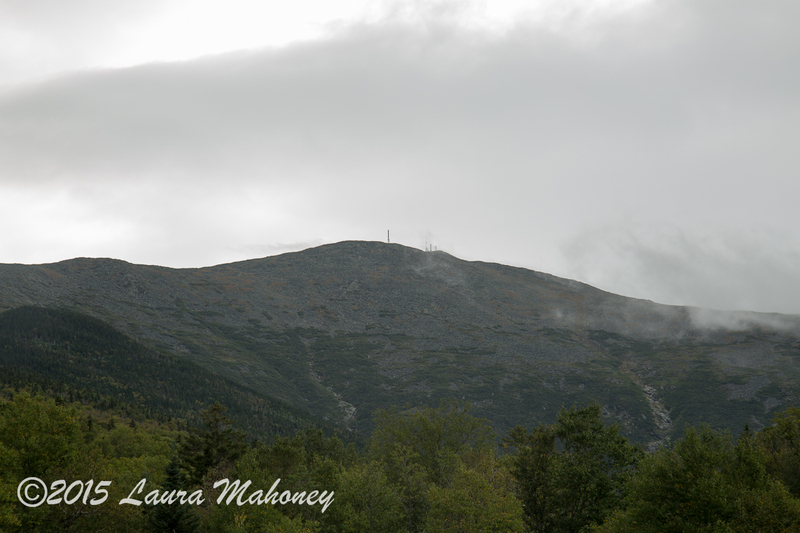 The Marshfield Base Station is in Low and Burbank’s Grant and we would pass though Thompson & Merserve’s Purchase and Chandler’s Purchase before reaching the summit. 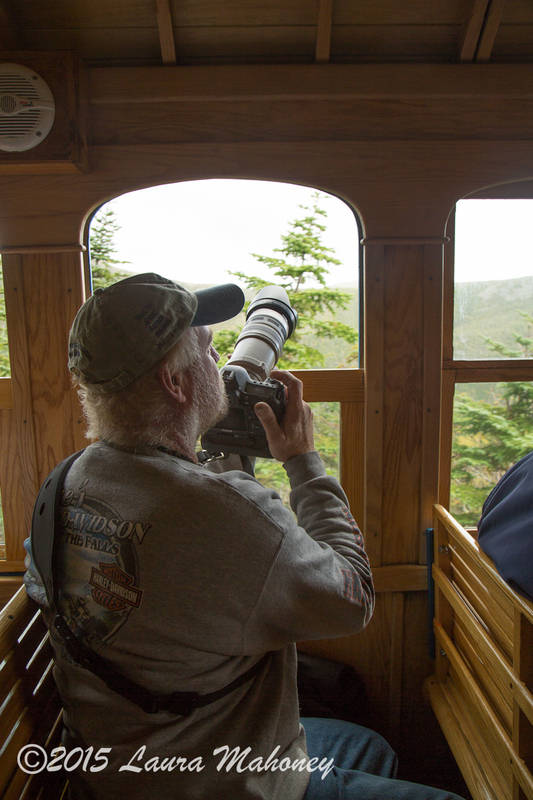 Steve and I had booked ourselves into a photography class presented by George Mitchell through the Cog Railway. We had tickets for the 10:30 train, but I wanted to be early. 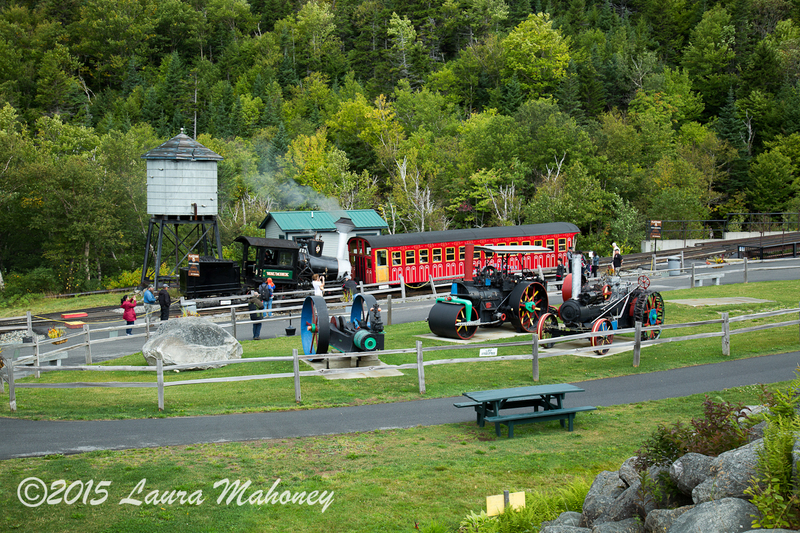 The steam engine only runs once at day, generally at 9:15, and I wanted to see it. 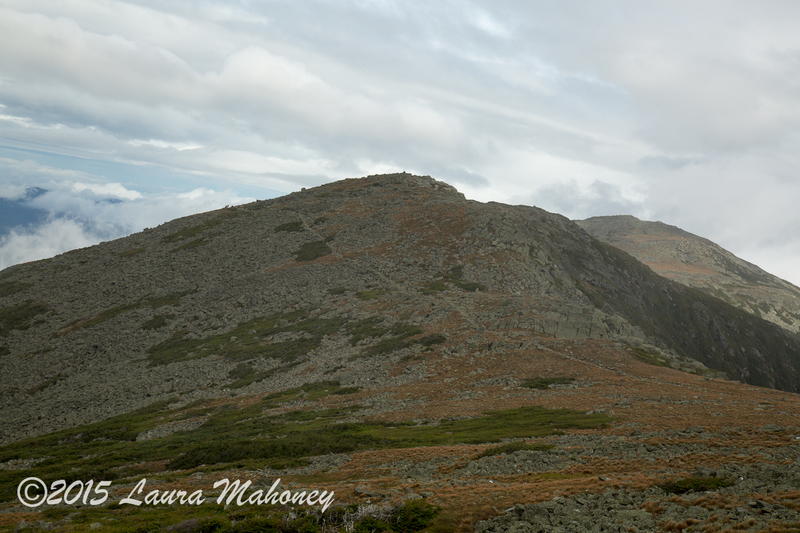 The forecast for the day wasn’t the greatest, but we dressed in layers and were prepared for the possibility of rain. 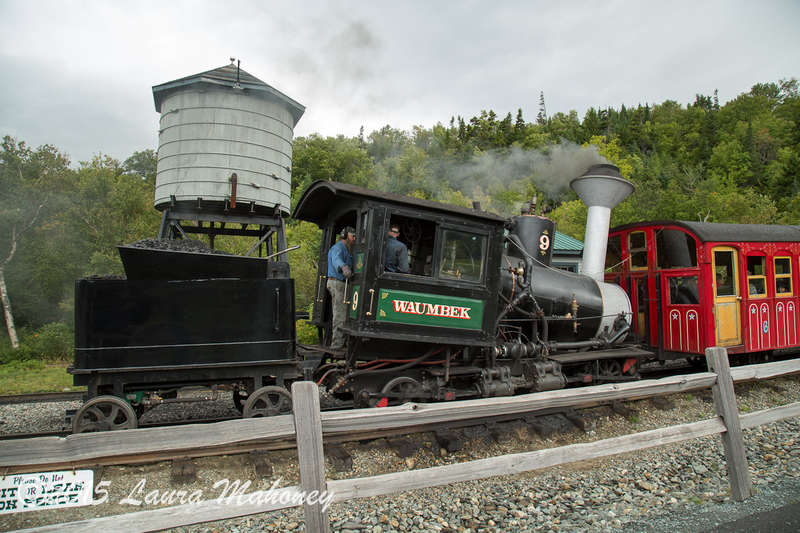 When we arrived the Waumbek engine was warming up for its ascent. 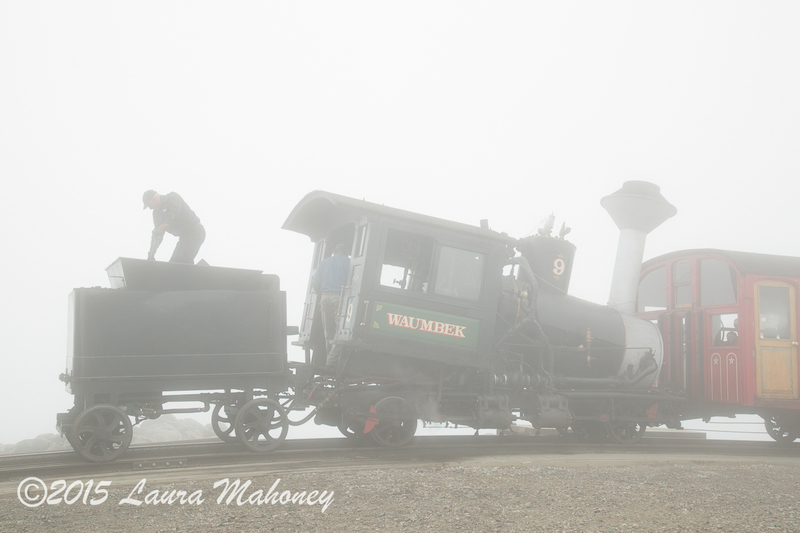 Once the Waumbek was lost in the mist, Steve and I headed back into the station for a quick breakfast before our train was to depart. 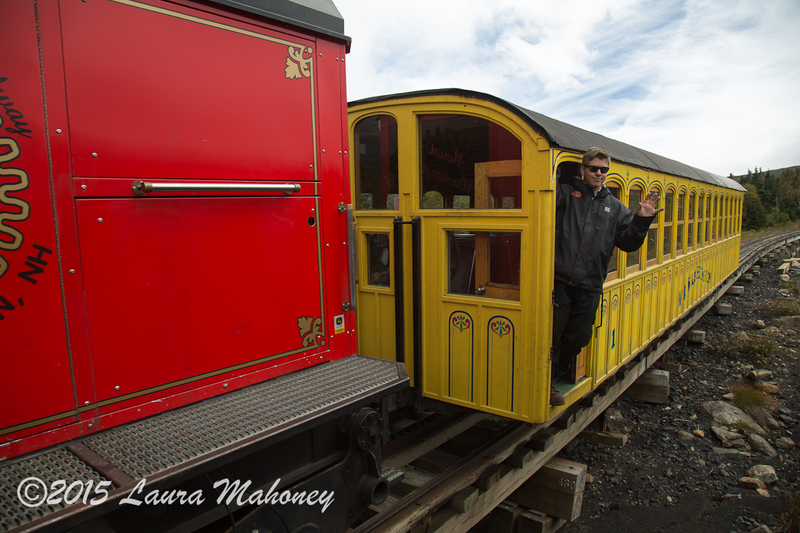 The trains line up for departures on the half hour and another train had taken its place behind ours. 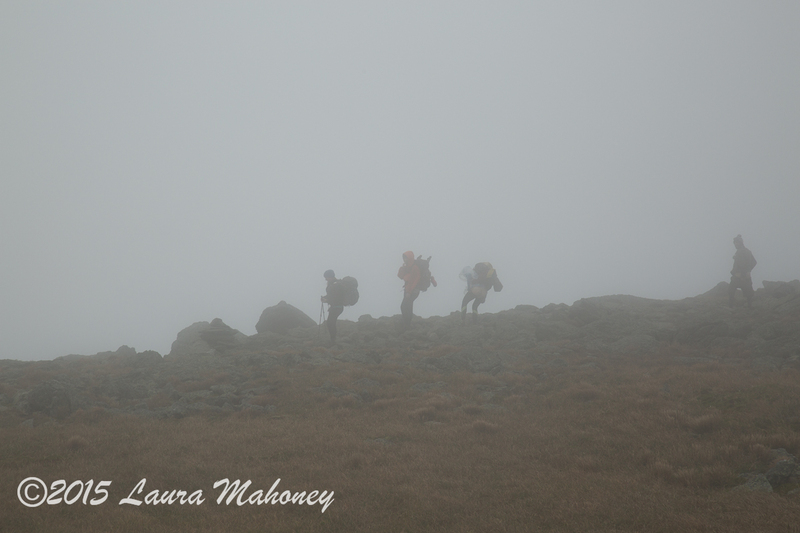 Near the summit, the fog began to limit the views. Probably a good thing since the hiker, second from the right, mooned us. 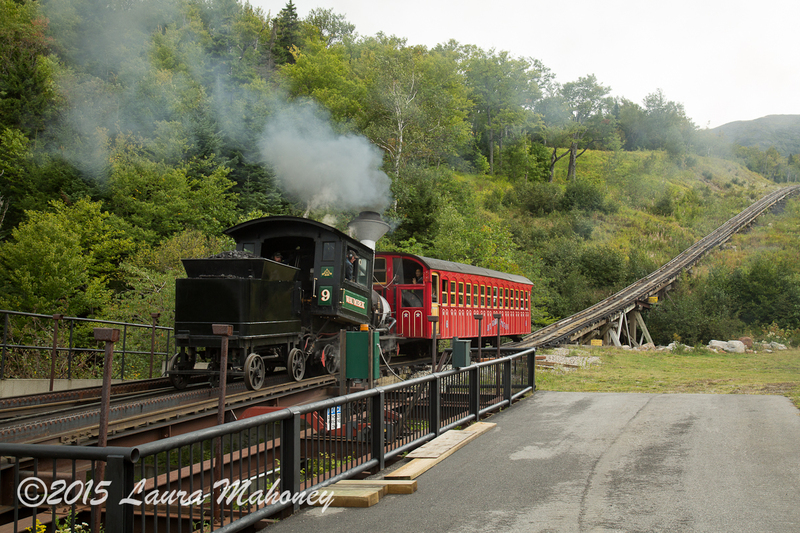 When we arrived at the summit, the steam engine was preparing for its return to the base station. We spent the next several hours taking in all we could. It was a great way to spend the day and I got to check off 4 more unincorporated places. Thank you for coming along. 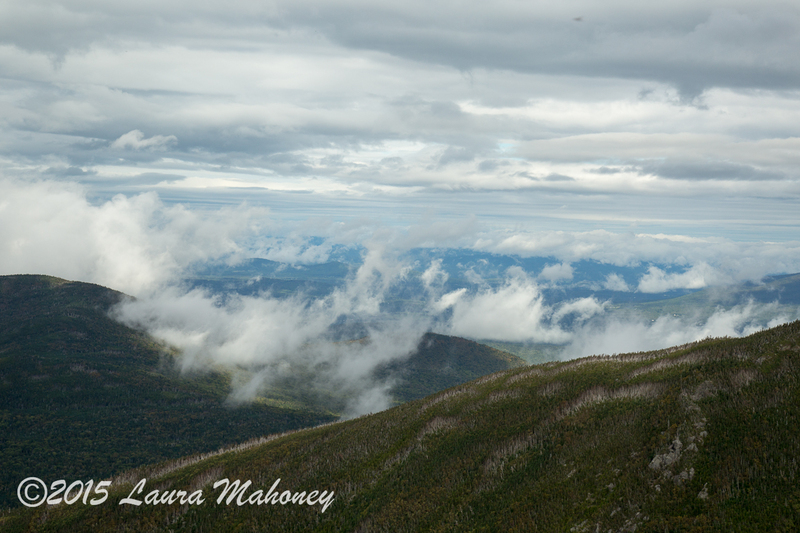 Great shots, Laura! Love the one of Steve photographing through the window. I have never been to Mt. Washington but it is on my bucket list. 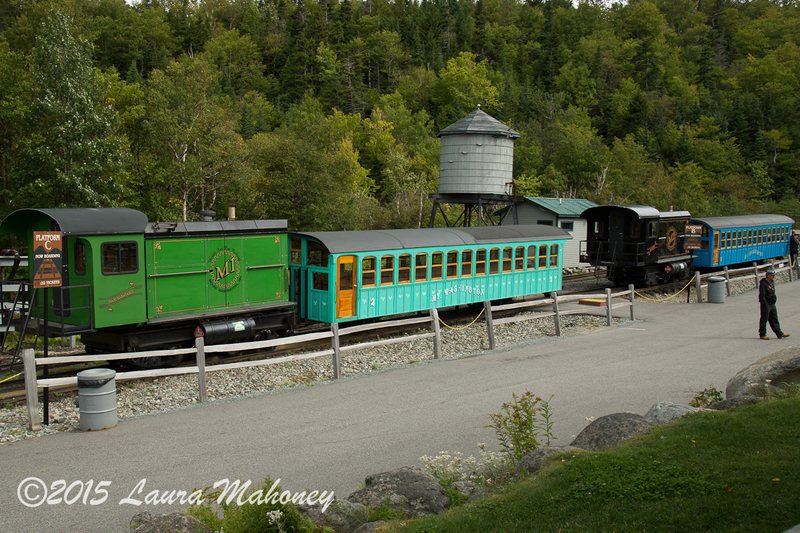 The trains are fascinating, I had no idea there were so many!! I was aware how many either, but they have quite a few. If you can plan your trip when it is clear, you can see all the way to the Atlantic Ocean. Excellent coverage of the trip, Laura. We stopped by the base station one time on a trip years ago. But the weather was bad and we decided not to take the train. Wish we had better luck with the weather that day; as your images show quite well, it can be an exciting series of vistas. When the weather is clear, you can see all the way to the Atlantic Ocean. 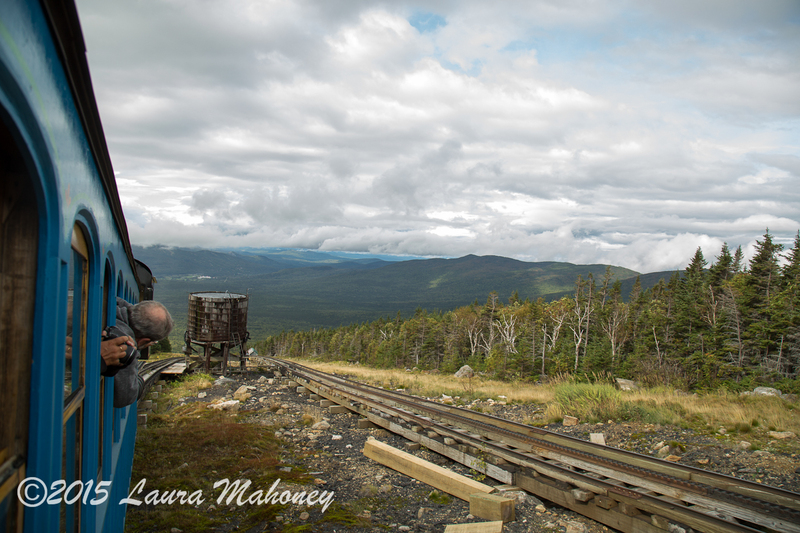 I’m planning to go again next summer via the Auto Road, through several more unincorporated places. Your best shot of the day is, of course, my favoite as well….thank you for all the comments along with the shots….I will now, put this on my list of places to go next year…I appreciate how you put the start times up as well, so I can build a trip around the hours you have mentioned. Thank you. 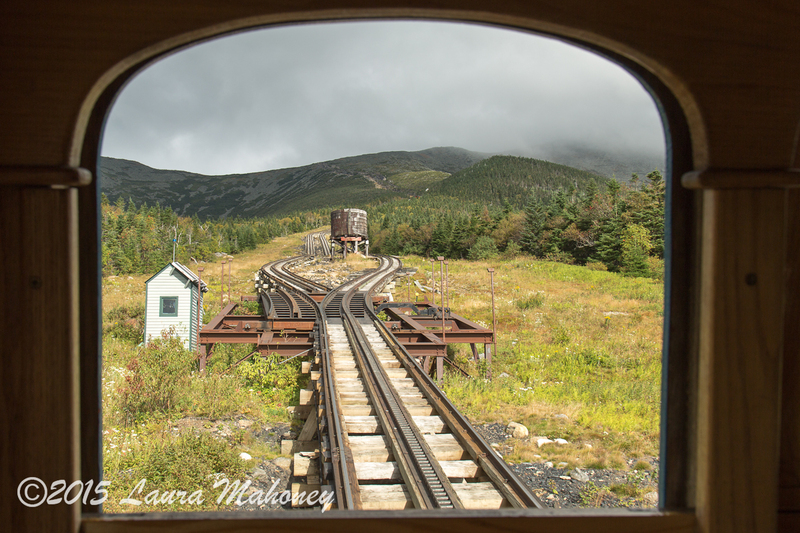 You will definitely enjoy a visit to the top of Mount Washington! Hopefully, you will be able to schedule it on a clear day. Your photos made me feel as I was right on the train with you. I agree with your top choice which is such a fabulous perspective. Not that I am any expert of course I just truly love that image. Now can I ask a likely dumb question? What does unincorporated mean? Thanks for the explanation and the reassurance. Much appreciated. 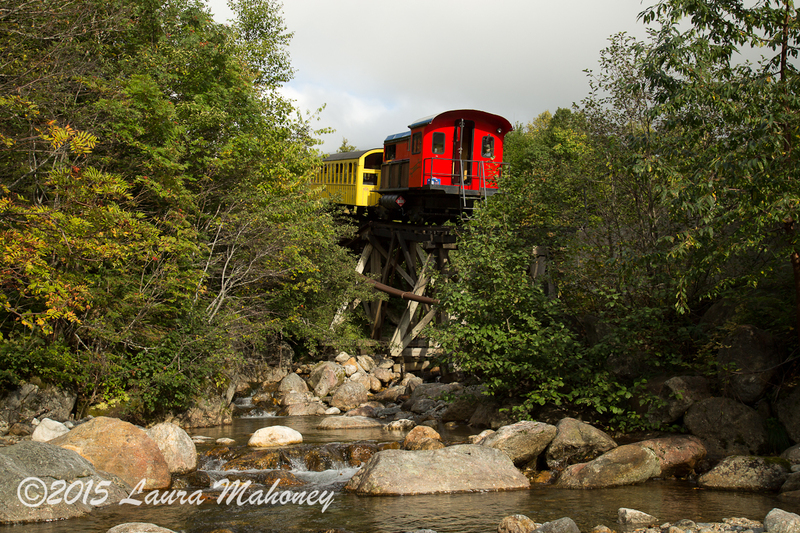 I spent the morning of my honeymoon on top of that mountain but I never did get to ride the cog railway. Even in June it was chilly up there. Your favorite shot is mine too! 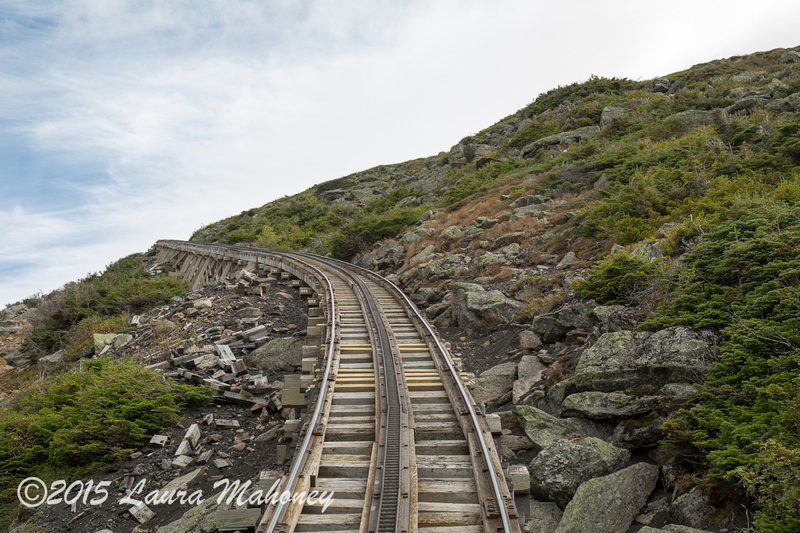 Did you hike up or take the Auto Road? I’m going to do the Auto Road next year to go through more unincorporated places. We took the auto road. My brakes were smoking on the way down! Your “favorite shot of the day” is really special. I’d enter that one in photo contests and frame it on the wall. This is something I’d be very interested in doing – Mt. Washington looks really cool. Thank you. Actually, I did just print and frame it! 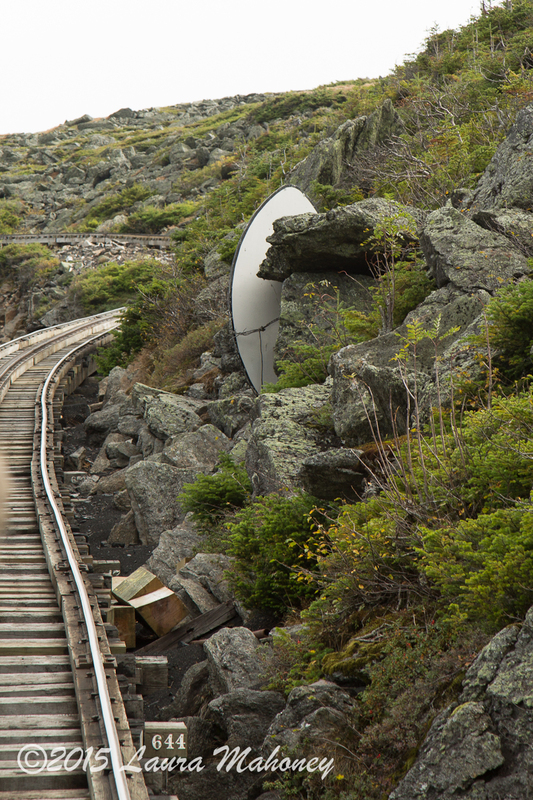 As adventurous as you are, would you take the cog of hike up? What a fantastic day. 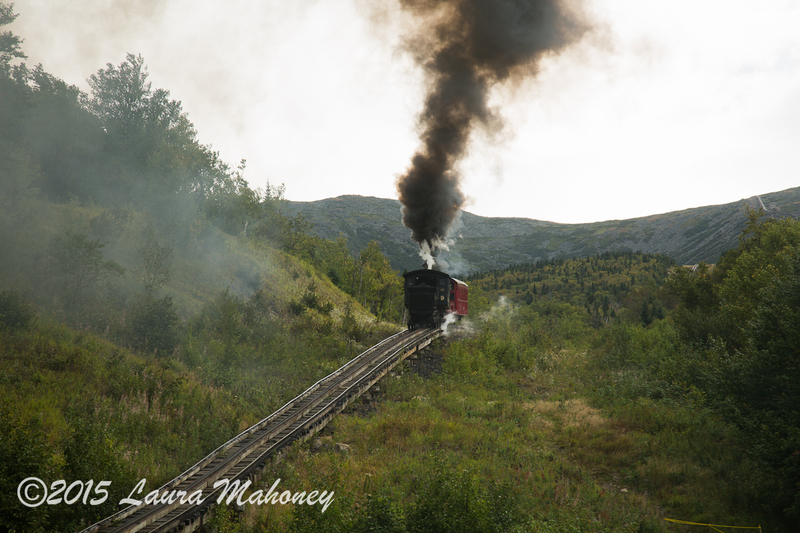 I love steam trains but we have so few of them here now. 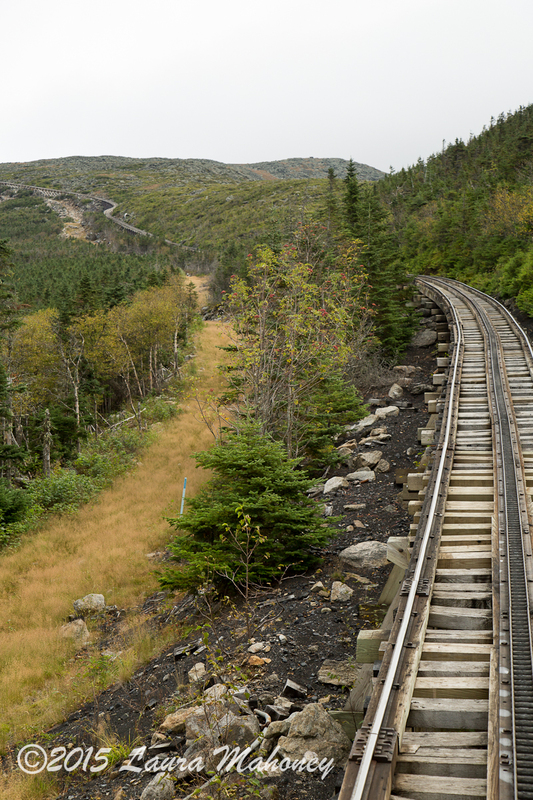 I love the sound and feel of the steam trains, but it’s amazing how much coal it takes to get to the top of the mountain – over a ton of coal!